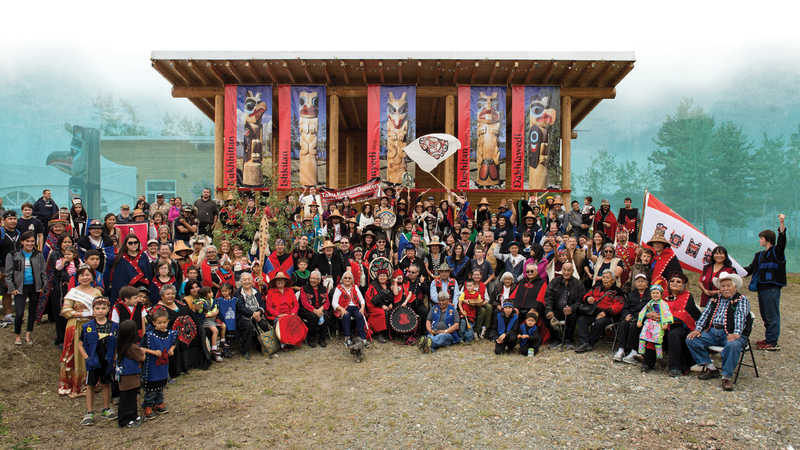 A Unique Inland Tlingit Gathering! 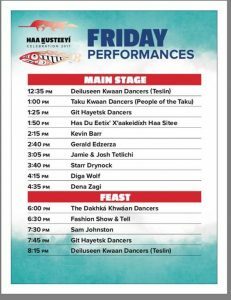 The 2017 Haa Ḵusteeyí Celebration will take place from Thursday, July 27 to Sunday, July 30 in Teslin, Yukon Territory, Canada at the Teslin Tlingit Heritage Centre. 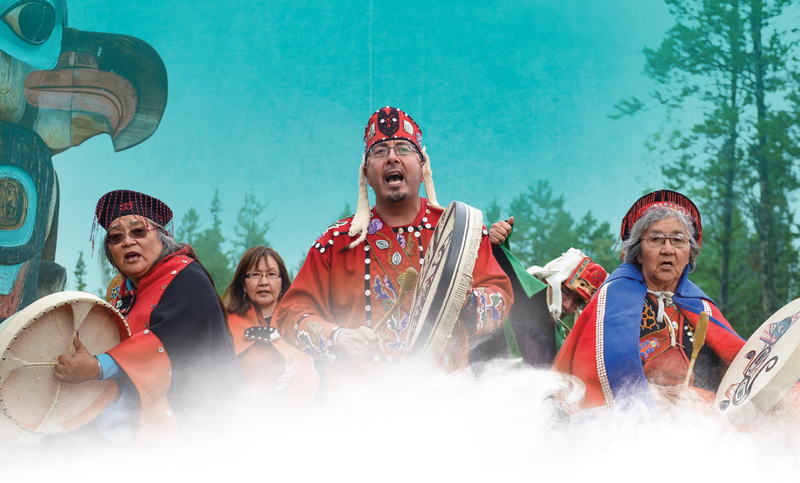 Starting on Thursday, July 27 will be a Family Language Scavenger Hunt and Family Concert featuring Yellowknife based group, Digawolf. 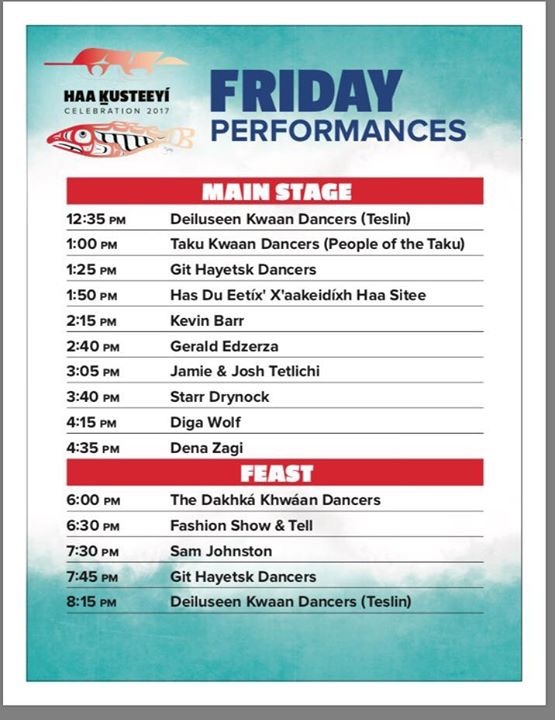 Friday, July 28 will begin with a traditional lake crossing and arrival in a Tlingit canoe, followed by a greeting ceremony and the lighting of the Celebration Fire. 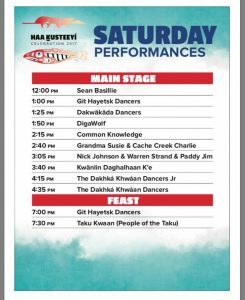 The Official Welcoming and Grand Entrance Parade with pageantry, flags and Tlingit regalia will follow in the late afternoon. 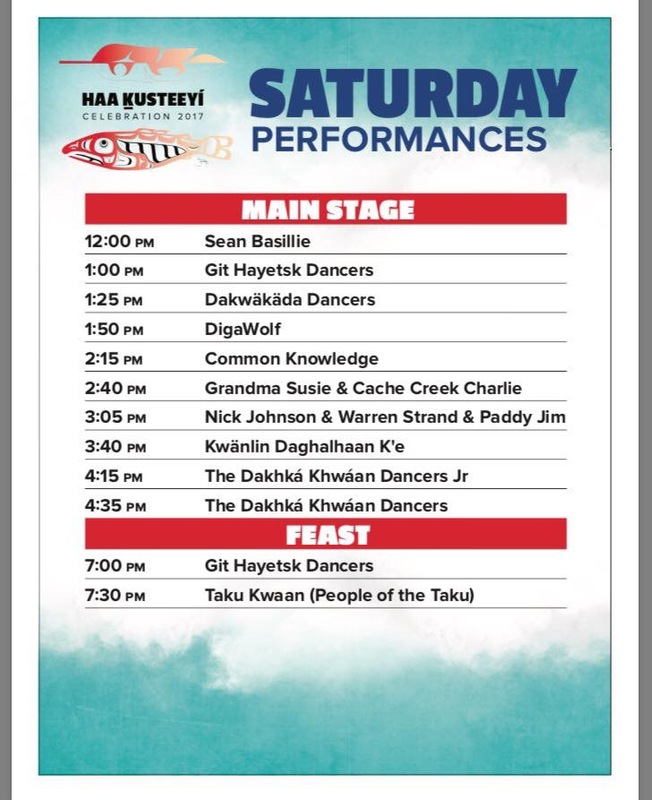 Scheduled daily are: Public Art Workshops, Cultural Demonstrations, Storytelling, Canoe Rides, First Nation and Contemporary Performers, Artists’ Market, Kids Zone, Hand Games Demonstrations, Tlingit Language Lessons and much, much more! 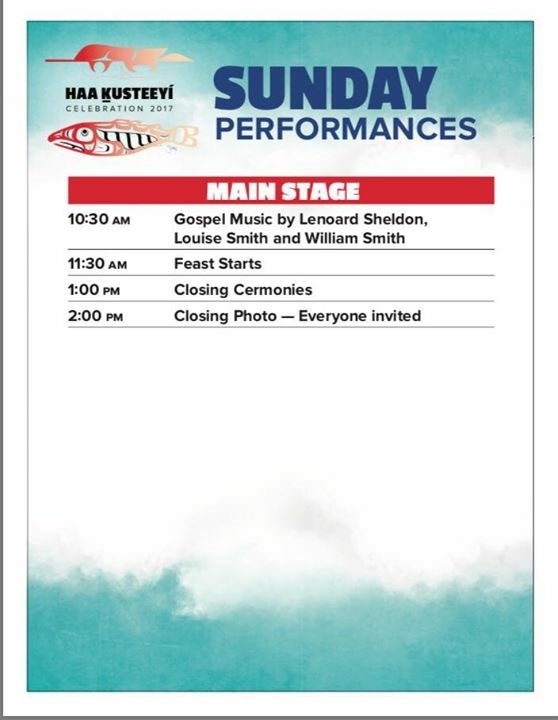 Each evening will begin with a Public Feast followed by Cultural Performances. ALL are welcome to attend and there is no charge for admission. PERFORMING ARTISTS, ARTISTS MARKET and VOLUNTEER APPLICATIONS now available on-line and for print!